Lush Fab Glam Inspired Lifestyle For The Modern Woman: 10 Years Later We Remember The Victims, Heroes and The World Affected by 9-11! 10 Years Later We Remember The Victims, Heroes and The World Affected by 9-11! We Remember The Victims, Heroes and The World Affected By 9-11. This post was previously written to commemorate the 10th anniversary of the September 11th attacks, the views and sentiments expressed still hold true today. Most of all I remember the faces and tears of my classmates who lost family members who worked in the World Trade Center Twin Towers. And a few days later when I made my way into Manhattan, I remember the smell of death in the air and the National Guards who stood alert with guns outside NY Penn Station. The sight of them was supposed to reassure us of our safety but instead it scared me. I remember thinking so this must be what it's like to live in a war zone and hoping that I would never experience anything like this again. Whatever 9-11 conspiracy or lack thereof theories you believe, the fact remains that innocent people died that day in a gruesome way and all our lives were affected directly or indirectly by it. Today as we commemorate those who lost their lives, their families, the heroic Fire Fighters, Police Men and other Emergency Response Crews. Let us also remember the people around the world who continue to experience acts of violence and war everyday. And let us all do what we can to create a better and more peaceful world for future generations. Where were you when you first heard about the attacks and how did it affect you? Leave a comment below. God bless the souls of those who died that day. 9-11 is one of those experiences that you can never forget. Thank you for pointing out that acts of violence are affecting so many people in the world. RIP to the victims of 9-11. That photo brought back some gruesome memories. Great article, I felt every moment with you, must have been terrifying. 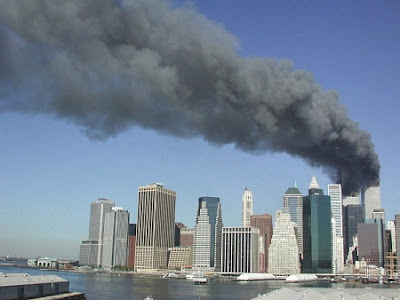 I can only imagine how how the people who were in the WTC feel today, they must be traumatized. God bless them all. I was at work that day and all I remember is everyone gathering around the tv in the lunch room just in shock. The day was just unreal it took me a couple days to fully realize what had happened, felt like I was in a different country not America that day. So sad. 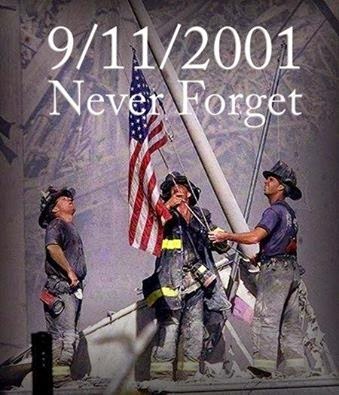 We will never forget the people who died that day and the heroes who helped so many. Well written too bad those same heroes are now dying of respiratory diseases and unable to get the help and support they need from the govt.